Most of the cars that Ford makes are rather boring vehicles that are more focused at getting folks from one place to another on the cheap. 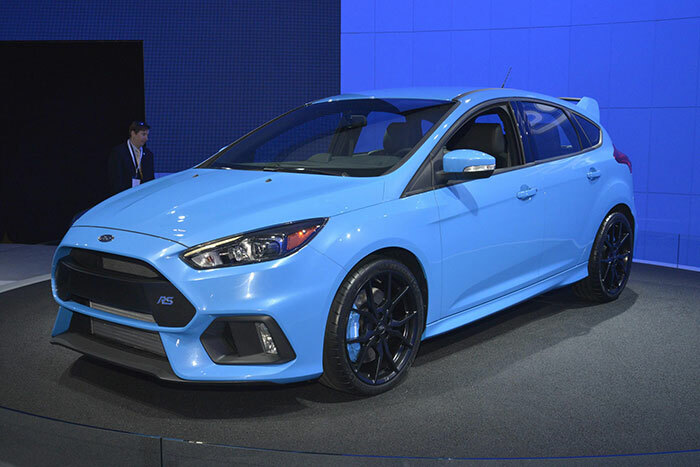 Ford has some nice performance rides though with cars like the Mustang, Focus St, and Fiesta ST. We already know that Ford is bringing the hotter Focus sibling to the US (finally) in the form of the Focus RS packing 345hp. Late last week a leak happened over at Ford when someone hit the go button on the Focus RS configurator way too early. The configurator was only up for a short time, but while it was we were able to glean the starting price for the car. That price is $36,605 and in base form, the car appears to have some nice standard features. Those include painted aluminum wheels and partial leather Recaro seats along with a ten speaker sound system. There are some options that will likely drive the price of the car easily into the low $40,000 range like a sunroof, navigation, 19-inch wheels, and a sticky set of Michelin Cup tires that will cost you $1900. I’ll take mine bone stock thank you.